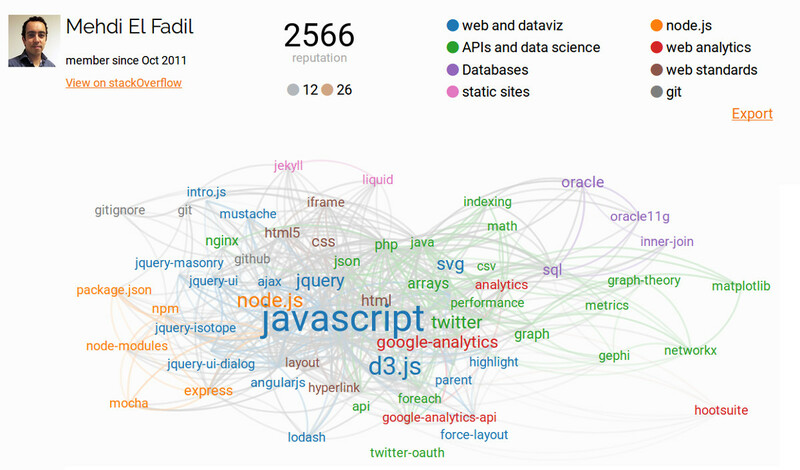 myTagOverflow creates a visualization of the top tags related to your own activity on stackOverflow. It may be useful when you want to demonstrate your technical abilities, based on factual data ;). myTagOverflow is a web application. Created by Mehdi El Fadil. You may get in touch via github issues. Dual Licensed MIT / Apache. myTagOverflow is free and open source. Contact us if there is any question. Browse other questions tagged app tags statistics .